Hunting for the right teacher gift can be hard – – this year let us make it easy! A HAND WRITTEN NOTE OF APPRECIATION about the positive impact that they have made on your child was one of their top responses, but DON’T stop there. Teachers also added that sending a note to the school principal complimenting them as teachers, makes it even better. Teaching is often a thankless job so a touching card can say so much. Expressing your heartfelt appreciation for how they have taught, loved and guided your child will be so appreciated. Hearing praise from their principal sweetens it even more. A SMALL MEANINGFUL GIFT was also on the top of their list. Something that shows that you have noticed the impact they have had on your child. 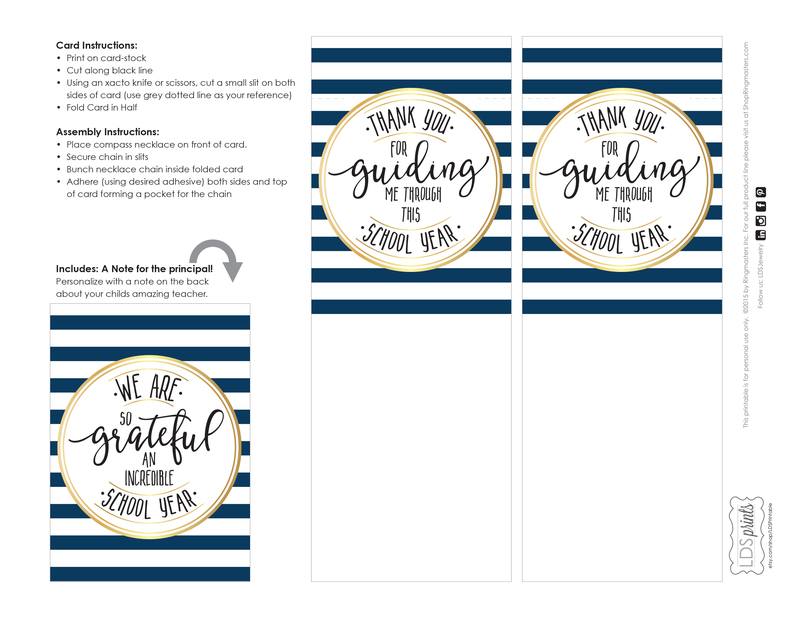 Download our FREE printable for your teacher and principal HERE! 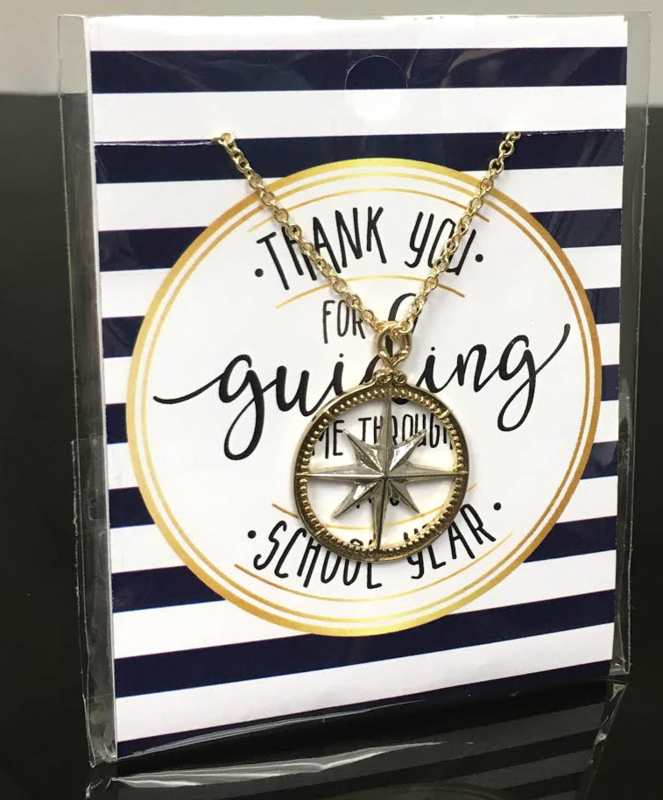 PURCHASE our “Thank You For Guiding Me Necklace” HERE! This entry was posted in Primary on May 5, 2016 by April Sorbonne. 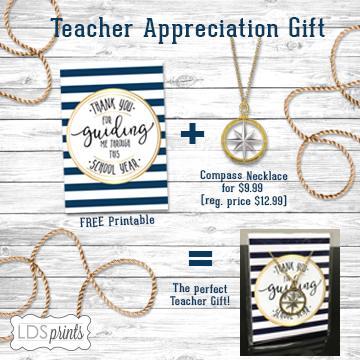 I’m trying to find the teacher gift printable. It says it can’t be found?